Online ordering menu for ANDALE LATINO GRILL. It’s not just the chef but the ingredients that makes a dish fantastic. 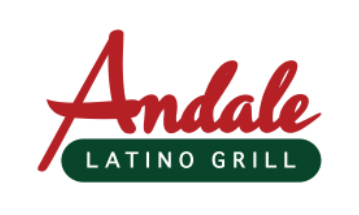 Andale Latino Grill serves up the finest dishes and culinary delights using only the finest locally sourced ingredients. Our foods are based on Latin American Cuisine while embracing some of the wonderful elements of American Cuisine. By Introducing Arepas, Plantains dolce, Empanada, Yucca and Quinoa Salad we would like to be perceived as an alternative to traditional Mexican Fast or full service restaurant concepts. We make every effort to produce every bite of the food you eat in house, fresh and daily, to demonstrate that our kitchens are completely of open design. Our goal is to deliver to you nutritious fresh made food ingredients cooked daily giving our guests the ability to mix and match to their own desires and adventurous natures. Stop by or order online today for quick and easy carryout. We are located on East Street Road at the Feasterville Plaza Shopping Center.